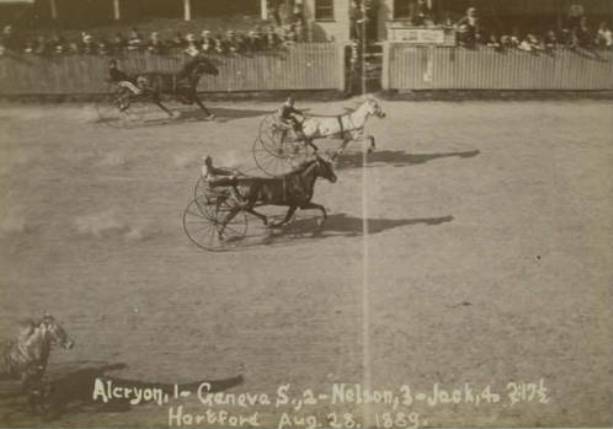 The day was cool and 10,000 spectators crowded the stands at Charter Oak Park to see the gray stallion Alcryon come from behind to beat the great trotting mare Geneva S. and the flagging favorite Nelson in the Charter Oak Stakes on August 28, 1889. Andrea Rapacz is currently the Head of Interpretive Projects at the Connecticut Historical Society and has been part of the CHS exhibitions staff since 1995. Temple, Robert. The History of Harness Racing in New England. Xlibris, 2010.